Odd how the brain works. At least mine. I’ve got plenty on my plate, but my brain keeps handing me new stuff. I am working away on my project, a middle-school holiday horror story. And it’s coming along. And another idea has been percolating in the back of my mind which has potential. But a couple of days ago, while I was in the shower, when I wasn’t thinking about anything in particular, I got hit, hard, by a way to solve the problem with “Chance.” That as my first novel. I really liked it. My then-agent was extremely enthusiastic. A friend had gone over it and said he had thought it would take him a week or so to read it but it took two days because “I literally couldn’t put it down.” It was at Little, Brown for nine months, worked its way up the submission process until the final meeting. And they decided to pass. After nine months. 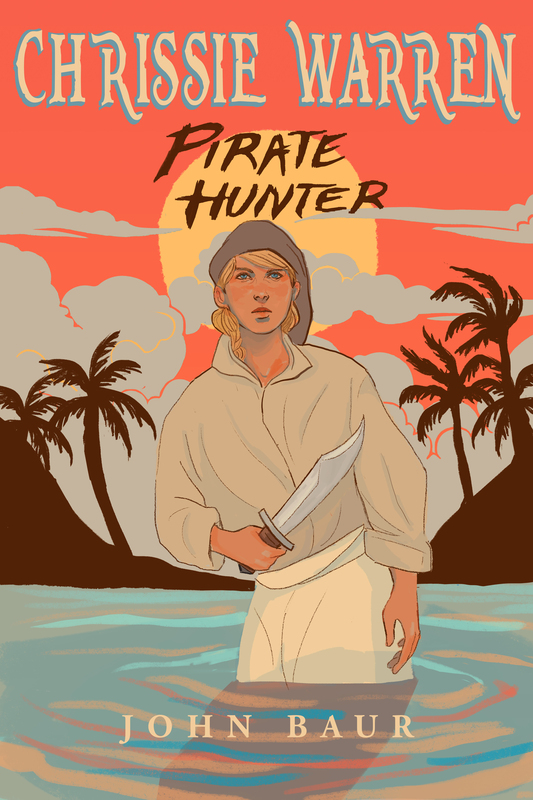 Two days later I started the book that became “Chrissie Warren: Pirate Hunter.” Which is a better book, I think. But I still like “Chance,” a lot. And I’d like to resuscitate it, bring it back to life because there’s some really good stuff in there, some great characters and action. Problem is, I cannibalized a few pieces to use in the early part of “Chrissie.” The whole getting aboard a ship under a different guise, early days learning the ropes. So I have to come up with a different opening and transition, it’ll change a chunk of the story and I have to work out how. And then, in the middle of the shower, it all came to me. I wasn’t thinking about it, it just jumped into my head, fully formed. How to get him on the ship, how to get him with the pirates. All of it. Actually a little better than it was. I’m looking forward to getting to work on it. And then I was having a conversation via email with Mark – Cap’n Slappy – my friend, partner in piracy and writing partner. We were talking about my son Jack, my eldest, who with his girlfriend Casey in about six months will make me a grandfather. (Very exciting!) Anyway, he asked if I was wanted to be called “gramps” or “Pop-Pop.” Neither. “Gramps” is a little “Beverly Hillbillies” for my taste, and “Pop-Pop” is insufferably cute. I am not a fan of cute. No, I said. I’m thinking Grampa will be just fine. And I was thinking, yeah, it’d be neat to have a cool name like Gandalf. But that was taken. So I’ll be more than happy with grampa. Of course, I’m a pirate. SO maybe something a little piratical. Like – Oh, I don’t know – And then it hit me. So thanks a lot brain. Like I wasn’t busy enough already? But I have to admit, those were both great ideas. Received the first “blurb” for “Chrissie,” and when you read it, you’ll understand why tears came to my eyes. They really did. I’ve got nothing else to say, after that. Damn near took my breath away. Now, back to work.